Date nights are my favorite but when they are themed, it makes it even more fun! 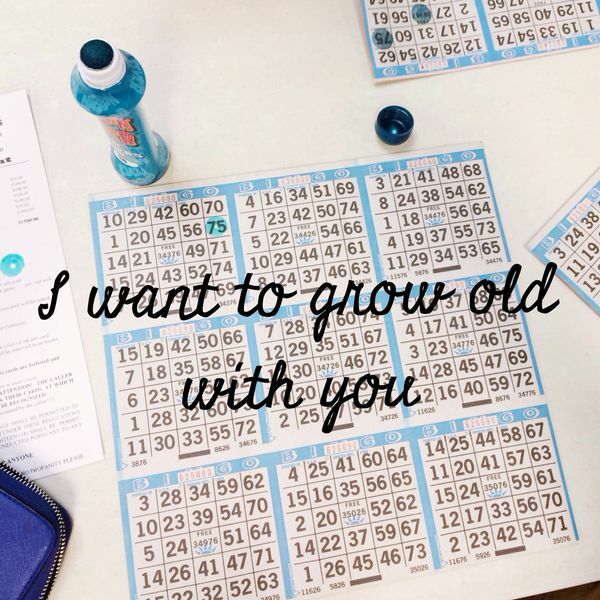 Last week I planned a date night themed around “I want to grow old with you”. We both had blocked off the evening on Thursday night for a date, but I refused to tell Conner the plan. In the morning, I placed a little note on his desk saying “I want to grow old with you, see you at 5:00pm”. Yeah that is right, all Bachelorette date card style. This allowed for a little mystery for the night as well as stated the time to be ready to go. 5:00pm rolled around and it was date night! To kick off the date we went for an early bird dinner special at Golden Corral. Now I know what you are thinking, because I thought the same thing- Gross. But Golden Corral holds the memory of where Conner used to go on dates with his Grandma for dinner. I found a local one and my buffet-fearful self was actually surprised at how clean the place was at the early bird hour. Oh, and everything had calories listed on the sneeze guard signs. I made it through and even dipped a marshmallow into the chocolate fountain. Yeah it is exactly what you expect it to be. A hot mess. 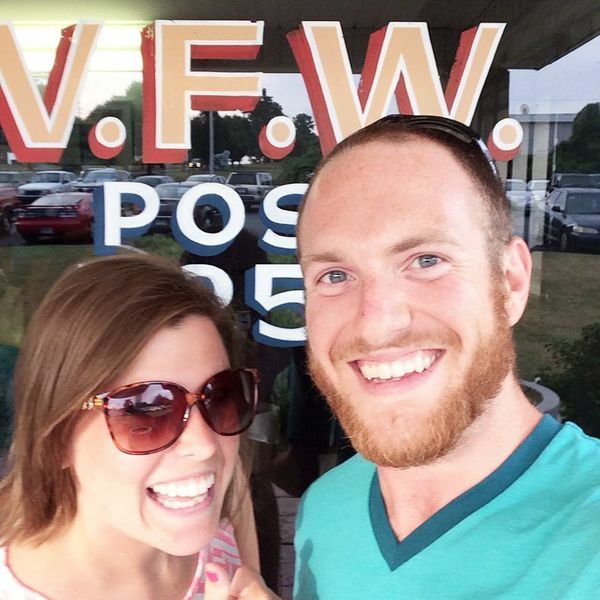 After dinner we rushed over to the VFW to get our bingo on. We were greeted by an elderly lady in a peacock blue jumpsuit that gave us the inside scoop- first timers get a free dapper. Not sure what gave it away- our pause at the front door for a selfie or our age. Either way, her inside scoop earned us a free dapper. Thank you Peacock Grandma. Our wallets thank you. The people at the Bingo hall were incredibly nice and serious about their game. We had a blast and even rounded out the “grow old with you” date with a 9:30pm bed time. Sometimes it is fun being old. This entry was posted in Married Life and tagged date night, married life. Bookmark the permalink. Oh this is such a cute date night idea! Also, I love bingo so I’d be all about it. You guys are too cute! Thanks Angel! I hope you had a chance to try it out.